Lyricist Fred Ebb (b. New York City, April 8, 1933(? ); d. New York City, September 11, 2004), was the literary half of the brilliant songwriting team of Kander and Ebb. 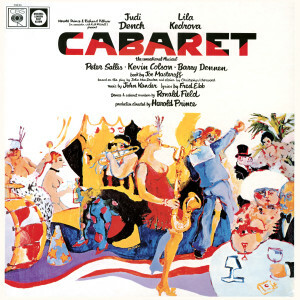 Together John Kander and Fred Ebb created at least sixteen Broadway shows, Flora the Red Menace (1965), Cabaret (1966), Chicago (1976), and Curtains (2006) among them. They also contributed material to fourteen films and television specials over their forty-year association. Kander and Ebb were recipients of many Awards: three Tony Awards® (Cabaret 1967, Woman of the Year 1981, Kiss of the Spider Woman 1993), Britain’s Laurence Olivier Award (1998, for the London production of Chicago), two Emmys® (1973 and 1993, both for Liza Minnelli television specials), and two Grammys® (Original Cast Album of Cabaret 1967, Musical Show Album of Chicago 1998). The duo also received several award nominations, including five for Tonys®, two for Oscars®, and four for Golden Globes®. Both Cabaret and Chicago were made into films; the screen version of Chicago won the 2002 Academy Award® for Best Picture. Ebb was born to a Jewish family in Manhattan, and worked during his teens bronzing baby shoes, loading trucks, selling hosiery, and clerking in a department store credit office. He earned a Bachelor’s degree in English Literature from New York University in 1955 and a Master’s from Columbia in 1957. His first professional songwriting partnership was with Phil Springer; their first song, “I Never Loved Him Anyhow,” was sung by Carmen McRae. Another Springer and Ebb song was “Heartbroken” (1953), recorded by Judy Garland, the mother of Liza Minnelli who would later become a close colleague. In the late 1950s he collaborated with composer Paul Klein on songs for the Broadway revue From A to Z. His first book musical was Morning Sun, also written with Klein. 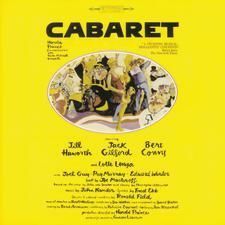 Bob Fosse was originally going to direct, but withdrew, and the show was not successful. 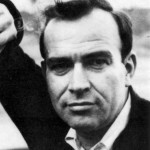 Fred Ebb met John Kander through music publisher Tommy Valando in 1962. Kander, too, had just had a failure on Broadway. Their very first project as a team, the song “My Coloring Book,” was recorded by Barbra Streisand on her second album (1963) and nominated for a Grammy® Award. 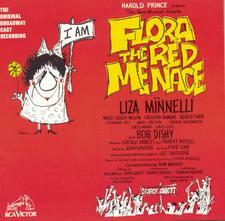 Their first full-scale theatrical collaboration, Golden Gate, did not make it to the stage, but in 1965 the two put together Flora the Red Menace, with Liza Minnelli appearing for the first time on Broadway – and winning a Tony Award®. Though it was not a smash hit, it served to cement relationships among Kander, Ebb, Minnelli, and producer Harold Prince. 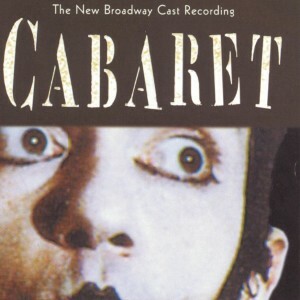 The pair’s next collaboration, Cabaret, produced by Prince, opened on November 20, 1966, at the Broadhurst Theatre and ran for 1,166 performances. 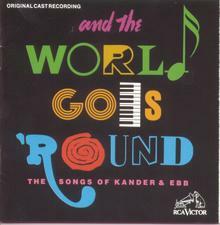 It won the 1966 Tony® for Best Musical, as well as seven others, and established fame worldwide for Kander and Ebb. The 1972 film adaptation starred Liza Minnelli and won several Oscars®. The show has been revived twice, in 1987 and in 1998, when it won another Tony®. After three more musicals (including Zorba 1968) the duo had another major hit, Chicago, in 1975, with nearly 900 performances. 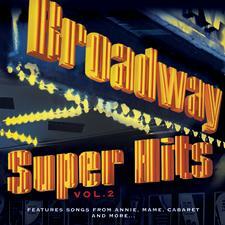 It was nominated for eleven Tonys®, but the competition – Marvin Hamlisch’s A Chorus Line – swept up all the Awards. When Chicago was revived in 1997, it received its fair share with six. A huge hit, this revival has run for a record of over 5,000 performances and is still alive in early 2009. 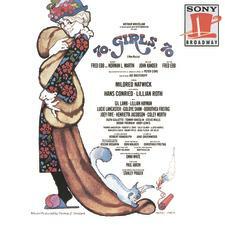 In 1976 Ebb wrote the book for Shirley MacLaine’s Broadway solo revue. The next year, Kander and Ebb contributed songs to two Martin Scorsese projects, starring Liza Minnelli: the film New York, New York, and the musical The Act. 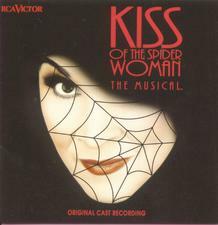 Kander and Ebb’s second Tony® for Best Score was awarded in 1981 to Woman of the Year with Lauren Bacall; their third went to The Kiss of the Spider Woman, starring Chita Rivera, in 1993. The last work entirely by Kander and Ebb to play on Broadway during Ebb’s lifetime was Steel Pier in 1997, nominated for eleven Tonys® but winner of none. This long partnership came to a sudden end when Fred Ebb died of a heart attack at home in New York City. At the time, they were working on a new musical, Curtains. (The show is about a series of mysterious deaths during the production of a Broadway musical; coincidentally, two other members of the project’s team died while it was in preparation.) A new lyricist, Rupert Holmes, was brought in to help Kander continue and finish the work. It opened in March 2007 and played for 511 performances.